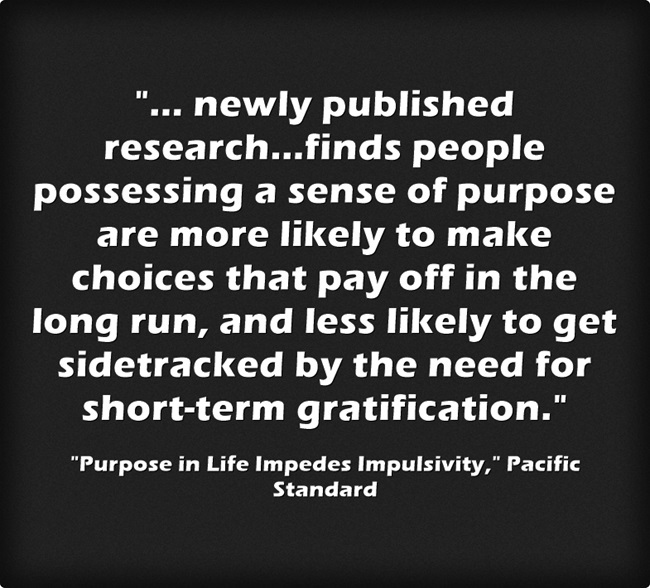 A new study finds something that comes as no surprise to teachers — those who have some kind of sense of purpose to their life exhibit more self-control. I’ve previously posted about related research, which also includes suggestions for class lessons to help students develop a “purpose for learning” (see The Power Of Having A “Purpose For Learning” In The Classroom). Another connected piece of research can be found at A Sense of Purpose Increases Comfort With Ethnic Diversity, also from The Pacific Standard. I’m adding this post to The Best Posts About Helping Students Develop Their Capacity For Self-Control.